We Design, Build and Deliver Top Ranking Joomla Websites. 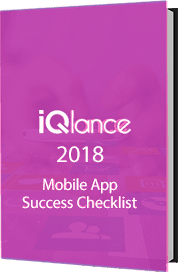 Iqlance offers variety of custom Joomla website development solutions such as component development, Joomla application development, theme customization and custom plugins. Our experienced team in Joomla website design & development services enables us to create module or functionality for all kinds of enterprises. We have a dedicated and technically sound team for Joomla development working for last 7 years in this sphere. Constant research and our client centric approach has widened our scope in website business. IQlance is a Canada based company providing world class services in Joomla development. IQlance has an expert Joomla developer team that offers global solutions in Joolma development services in Canada. We focus not only on providing professional Joomla development solutions, but becoming a trusted technology partner dedicated to supporting clients’ growing business needs is also essential to our business. Our customized approach helps us to make our customers satisfied. We gather client’s requirements and lay groundwork for developers. Our team analyses project requirements, technical feasibility and recommends expert joomla developer. We select expert Joomla developer from our team of dedicated resources. We give you the control and let you manage your project and get periodic reports about the project.